Hi! Violet on the blog again today, and I wanted to share how I used the "Tiki, I love you" kit in my ring bound planner. I used the journaling cards and card stock to make planner book marks. I trimmed the parrot from a journaling card and added it to card stock. I added some glitter to his feathers, because he needed to be a little extra. He’s so stinking adorable! I use them inside my planner so I know exactly where I want to open my pages. I used the "everyday" word ephemera on top and laminated it, before I punched and placed it in the perfect spot. Here is a top view of the planner bookmark. And below, you can see how I used the sunglasses ephemera as a tab for the top of the other bookmark. It just adds that little extra cuteness and a good way to use up your ephemera. I absolutely love the "Tiki, I love you" kit. 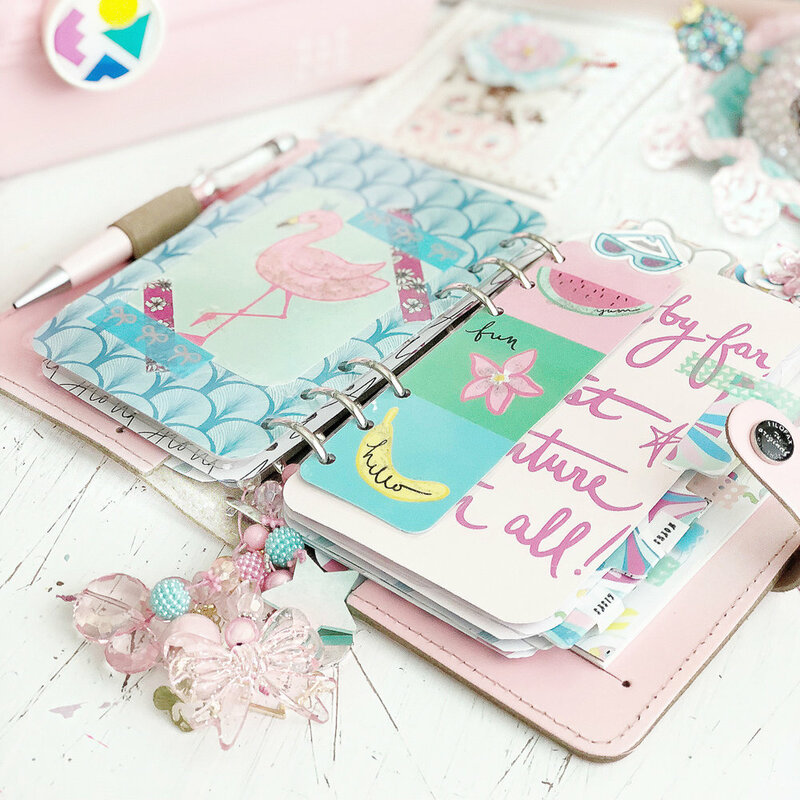 The colors reminds me of summer, and all the tropical vibes, from flamingos to parrots and mermaid, made it a planner's paradise!